The highest legal body of the EHF made its decision in a case of attempted undue influence. The EHF Arbitration Tribunal has taken a final decision in the case related to the 2009 Men’s World Championship qualification play-off 2nd leg between Romania and Montenegro. The game took place on 14 June 2008 in Oradea, Romania. 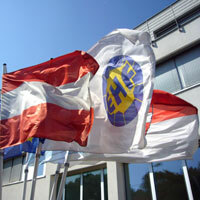 The EHF Arbitration Tribunal has found that Mr. Palau Petre and Mr. Aihan Omer – respectively the vice-president of the Romanian Handball Federation and the head coach of the Romanian national team at the time – attempted to manipulate the nominated EHF referees by offering them money before the game. This is an improper act that is classified as serious unsportsmanlike conduct, violating the fundamental principles of friendship, fair play and respect for all participating people and organisations which are the basics of handball sport. Such conduct may seriously threaten the reputation of European handball. Mr. Palau Petre and Mr. Aihan Omer are therefore excluded from taking part in any international handball competition and from carrying out any EHF function and/or activity for a period of five years. The EHF Arbitration Tribunal has also decided to sanction the Romanian Handball Federation as national federations are accountable for the conduct of their officials and also the Romanian Handball Federation obviously did not comply with their obligation to protect EHF referees. In fact, preceding any game in an EHF competition particular care shall be provided for EHF officials in order to help professional and fair refereeing of the match. This duty involves that EHF officials shall not be confronted with situations that clearly violate the EHF regulations and/or the fundamental principles of sports. Therefore, the Romanian Handball Federation shall pay a monetary fine of €27,500 with the threat of a two-year exclusion of its men’s National Team. The exclusion is suspended for a period of four years. The EHF Arbitration Tribunal requested technical analysis of the aforementioned game from independent refereeing experts. The video analysis confirmed that there was no evidence of biased or imbalanced refereeing during the match.